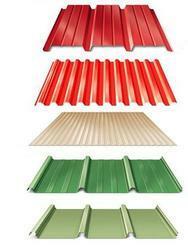 We are providing a wide range of Color Profile Sheet. Owing to our experience, we are strong in providing to the requirements of our respect clients by offering quality Colour Coated Profile Sheets. 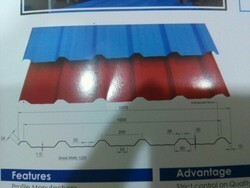 The offered profile sheets are widely used for cover the roofs of industrial and domestic buildings. Eye catchy in look, offered Color Fiber Profile Sheet is weather proof in nature and perfectly prepared by experts. This profile sheet has longer life.